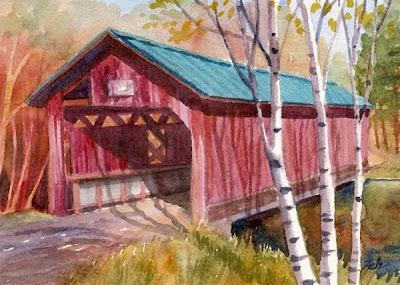 Old wooden covered bridges are a favorite historic structure for many people. Here is one with a few boards missing, but still a scenic picture surrounded by fall foliage. This painting has been sold. See more of my art on my website: zehoriginalart.com. Thanks for stopping by!